Accompanied by Premium Report no. 71419 dated 17 October 2013 from the SSEF Swiss Gemmological Institute stating that the alexandrite is of Russian origin, with no indications of treatment and a distinct colour-change from green to purple, and an Appendix letter indicating that 'A natural alexandrite from Russia of this size and quality is very rare and exceptional and thus can be considered a very exceptional treasure of nature'. Report no. 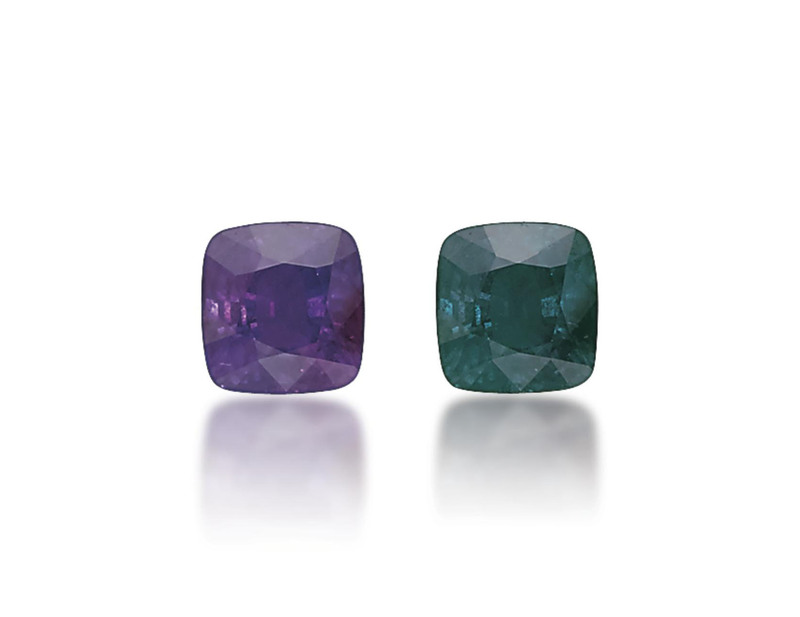 BD005623/1 from the LFG Laboratoire Français de Gemmologie dated 24 January 2014 stating that the alexandrite is of Russian origin and 'possesses exceptional characteristics as the pronounced color-change and size'.